Really, they are shooting out of the ground like mushrooms and significantly contribute to technological innovation. Silicon Valley in the U.S. with its technology giants is probably the most eminent place for start-ups and makers. But also in Europe a landscape developed where entrepreneurs can benefit from ecosystems that support them in various ways. So-called start-up accelerators love the creativity and mentality of the maker community and help with their expertise and partner networks. Maker communities can be found more frequently and they organize themselves more than ever before. Hobbyists, inventors and students doing research always existed. But in the meanwhile they are paid special attention and become more and more interesting also for technology heavyweights. Dedicated maker trade fairs become more and more popular like the rising visitor numbers of the MakerFaire demonstrate in an impressive manner. Innovative technologies such as the Arduino microcontroller or 3D printing certainly helped communities to grow. Furthermore, they are publishing their projects on YouTube or portals like Hackster. Also EBV Elektronik already enjoys a good reputation within the scene. 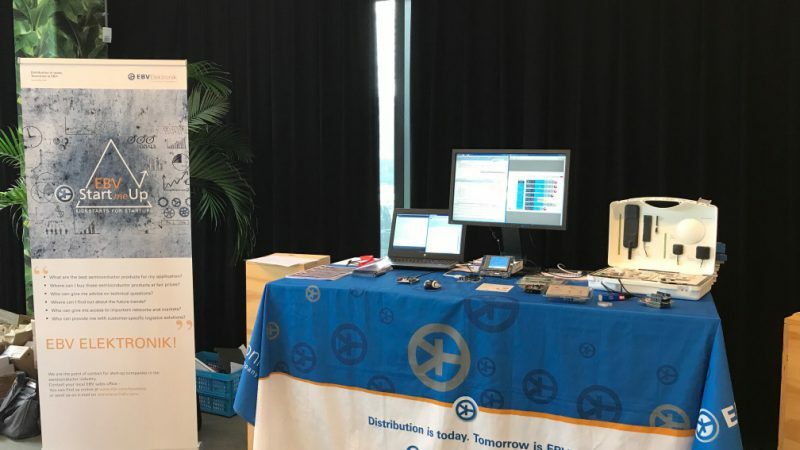 Not least due to its contribution in the French IoT Valley, EBV was already able to support many start-up companies during the often challenging first business period. Various project could be realized and products released to the market successfully. Furthermore, as one of the first semiconductor distributors EBV initiated its own program that is focussing on young companies and makers – EBV StartMeUp. With the launch of the StartMeUp initiative, EBV recognised the huge potential of the DIY-Community, and since then established productive collaborations and partnerships already. 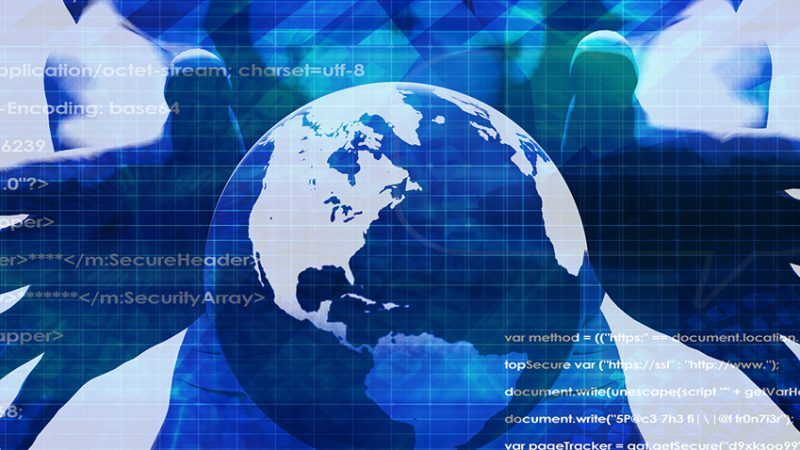 Together with our manufacturing partner STMicroelectronics we go a step further and offer a comprehensive ecosystem to ease the lives of developers. The STM32 microcontroller family is a perfect platform to experiment with. Several boards can be used for different purposes and help in the realisation of projects. STM for Makers is a fantastic opportunity to release creativity. 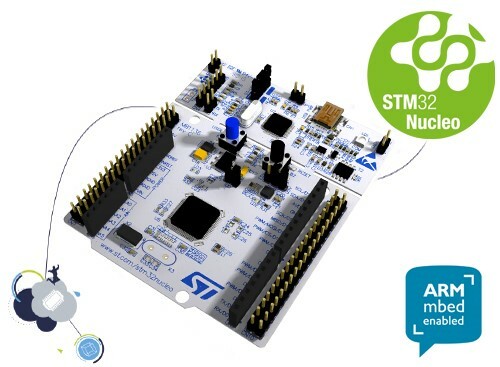 STM32 Nucleo development boards feature the STM32 microcontroller in 32-, 64-or 144-pin package and offer a broad range of expansion possibilities. Depending on the project, with the right extension board Bluetooth low energy, LoRaTM networking, motor control, motion & environmental sensing or Wi-Fi networking can be enabled. Furthermore, ST offers a software tool like the STM32CubeMX where makers can configure and generate code. Another goody for developers are the ready-to-use software embedded bricks ST can offer through is partnership with ARM mbed. Faster time to market can be the result, which might be decisive in these days and could mean a head start for young companies. Our dedicated StartMeUp team across central Europe is always willing to get in personal contact with start-ups, makers and techpreneurs and to answer your questions. Reach out to the team via email: startmeup@ebv.com. This could be the first step to your success!